I love the limited depth of field in this image. 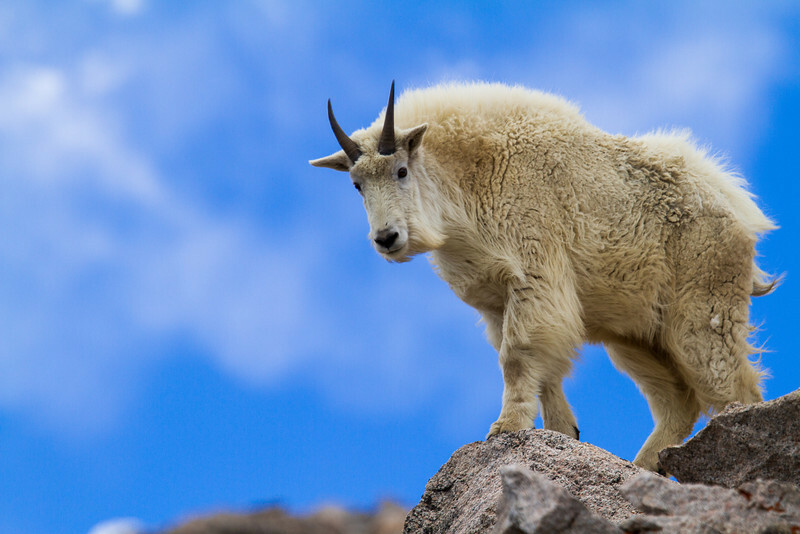 This is a nice billy mountain goat located at Mt. Evans. The photo gives the sense that this is really larger than life, but really only stands about 3 and 1/2 feet at the shoulder.